Fable II, though incredibly flawed in numerous ways, is a damned good game. The combat is remarkably satisfying, the story is incredibly effective, and there are flashes of brilliance in some of the game's moral quandaries. You'll have to slog through a very frustrating few hours in order to get to the good stuff, but once you've gotten over the game's incredibly obvious flaws, you'll find one of the most emotionally evocative games ever made. It's hard not to get sucked into Fable II. The world is so charming and your choices so profound, that it's easy to look past the game's shortcomings. The punishment for death is pointless and the story carries little weight, but the experience is still immensely rewarding. It's easy to lose hours to trivial tasks, and discovering all the secrets tucked away creates a truly memorable adventure. The new ideas presented here may not change the future of gaming, but there are some noteworthy additions that make this feel completely unique. Best of all, while the story represents an engaging ride, it's really only one piece of Fable II. After the story is done and dusted, you make another choice about your role in the world and back in you go ready to complete unfinished quests, snag any remaining collectibles, continue leveling up and buying property, and above all, continuing to experiment. For all its flaws, Fable II is still a masterful piece of game design, and utterly compelling. Fable II comes packed to the gills with content to keep you busy. While there are definitely some issues with the user interface and the occasional NPC freak-out, they are easy to stagger past whilst getting drunk on the fanciful world of Albion. After you've beaten the main quest, you can go back and finish up side missions, find collectibles, or better yet, start a new character and make totally different choices. 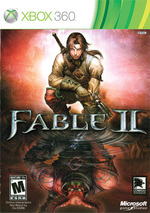 With its peculiar blend of charm and dark humor, Fable II is an adventure that will leave you with your own unique tales to tell. 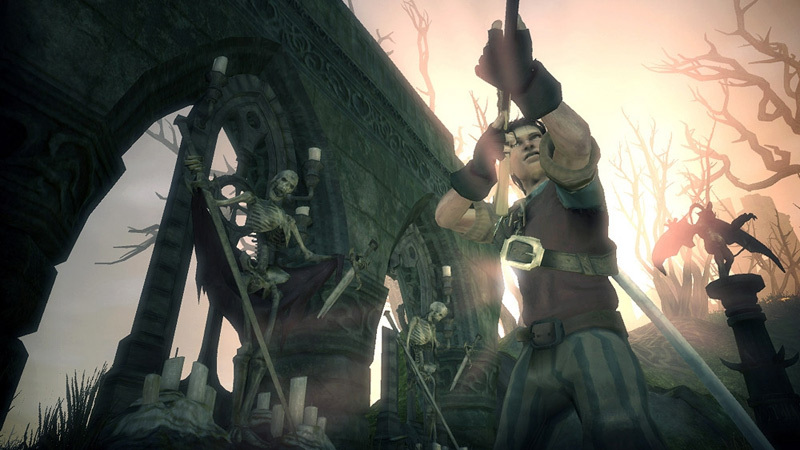 Fable II is a game with heart, and there are so few of them released these days. It will make you think, and take you beyond bloodlust, yet you can satisfy that too if you wish. It's far too easy, the social and job aspects are a drag, and the main quest ends just when it seems to be getting started, but when you return to town and the people are abuzz of your exploits, much is forgiven. It's a more refined version of the original that still hasn't lost all its warts, but it manages to channel many separate ideas into one enjoyable whole. Fable II is a worthy successor to the noble effort released on the Xbox. I could go on and on about the many varied bits there are to see and do. The role-playing possibilities are endless, and the world is amazingly well fleshed out. Unfortunately, technical issues with the visuals and the fact that non-role-playing gamers will likely be bored by the sheer size and scope of play limit the title's appeal. As such, know that this game is not for everyone, but rather for those looking for a living world within which to explore, live, and act. For the most part, Fable 2 is an absolute beautiful game. It has colorful environments to explore, a lot of unique NPCs to interact with, high production values with its art and design, and brilliant animations for the characters. The same can be said about the audio as the voice-overs are excellent and the score of Fable 2 is pleasant on the ears. Though, once again, there are a few technical problems with the framerate dropping, music cutting in and out, and long load times. The video game industry is often criticised for churning out carbon copy shooters, delivering little more than a different way to mass murder hundreds of identikit enemies. Fable II is different. It's a game that makes you think about what you're doing. It hasn't perfected the RPG, and in truth isn't close to doing so, but it's a massive step in the right direction and a beautiful game to boot. 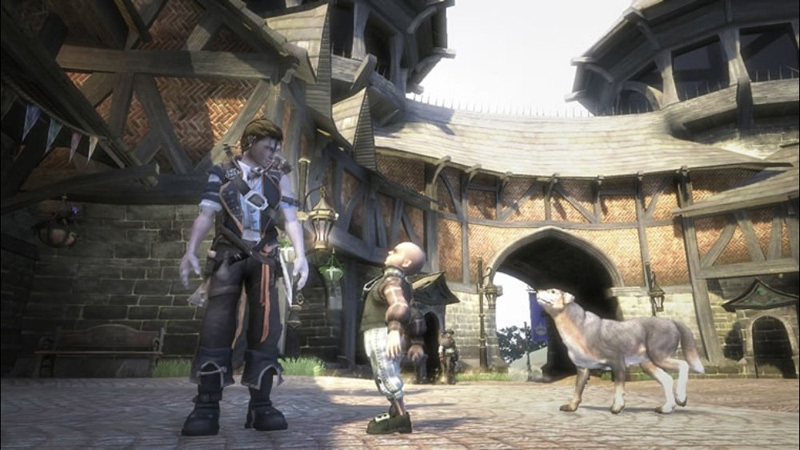 If you think you have what it takes to be a righteous hero, give Fable II a try. You might not be the angel you think you are. In the end, your enjoyment of Fable II will hinge on what is important to you in this type of game. If you are looking for an engrossing story with loveable characters, this might not please you. However, if you are looking for an impressive gameplay experience with tons of replayability, I could not recommend Fable II more. While it may have, once again, fallen short of being a classic, it is a large improvement over the first game despite its numerous weak points. 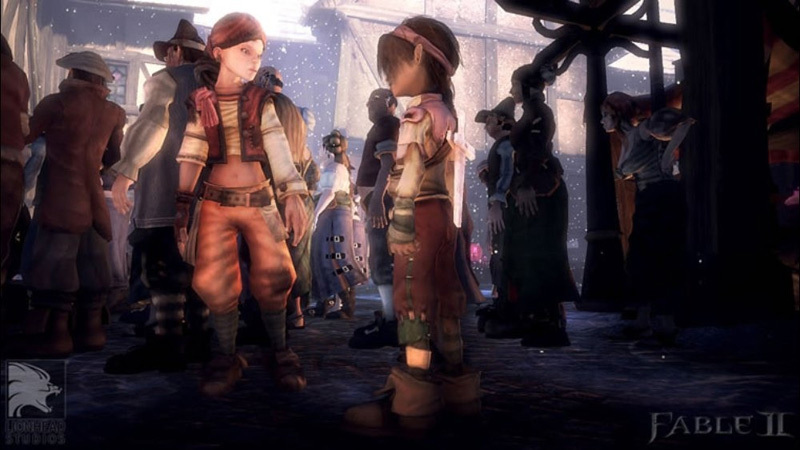 Fable II's generous and forgiving template isn't one that many games choose to follow, but it proves convincingly that if you're clever enough, you can create a consistent challenge without resorting to mindless punishment, and you can craft a sharply told story that still has room for the player to express themselves within. Inclusive and often thought-provoking, this is a daring portrait of a game-world with all the failure cut out, and it's hard not to love a game that loves you so much in return. Fable II will charm you, thrill you, and leave you very, very happy. 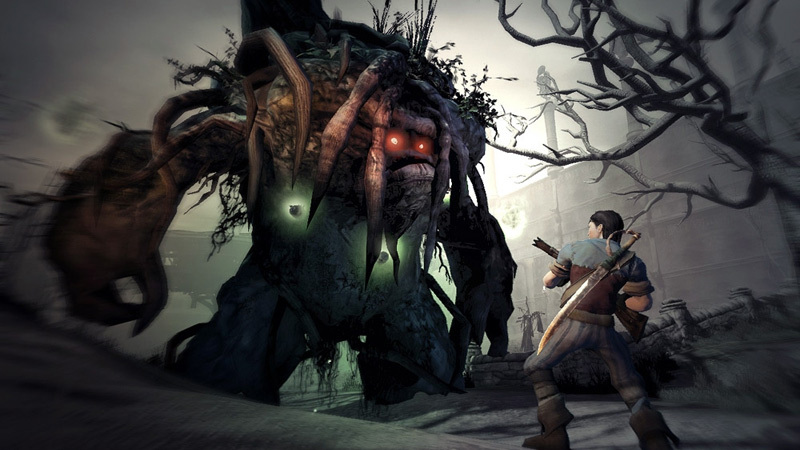 Invest in Albion, its inhabitants and its history; embrace the power you're afforded to shape yourself and the world around you and Fable II is an astonishing achievement. It's not an easily definable, singular vision but an impressive, unparalleled attempt at empowering the player in ways no other game has before. While individual elements might struggle to shine on close scrutiny, it's their harmonious integration that makes Fable II such a captivating, unforgettable experience. Fable 2 es nuestra vida alternativa. Muy divertido, sencillo de controla y con un sinfín de oportunidades, pocos juegos consiguen un grado semejante de inmersión y de implicación con el mundo. Podemos ser el héroe más grande de todos los tiempos, o bien el ser más ruin de la historia. Podemos atravesar infinidad de mazmorras y buscar venganza, o bien casarnos y llevar una vida tranquila en pareja. 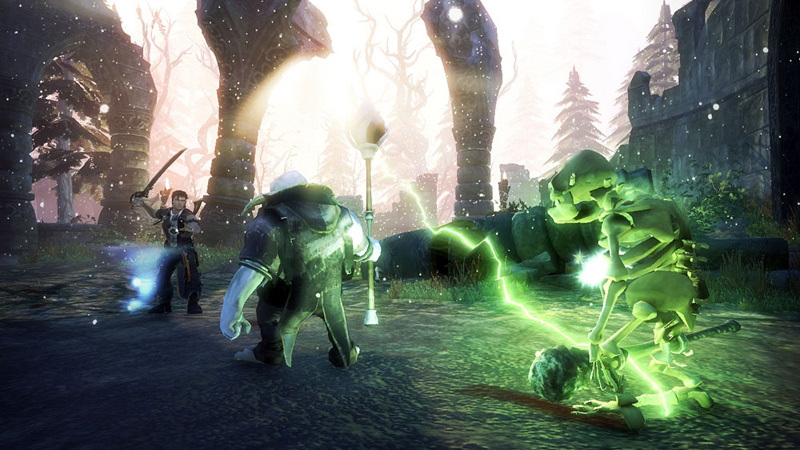 Las cerca de 20 horas de campaña de Fable 2 son una experiencia que pocos aficionados al rol occidental se deben perder. La campaña individual es su única oferta, pero el ver crecer a un héroe de leyenda desde su infancia hasta su madurez es un viaje tanto para él como para nosotros. No obstante la jugabilidad es mucho más profunda que todo eso, y va más allá del mero cumplimiento de misiones a espadazo limpio, viéndose fuertemente enriquecida por abundantes minijuegos para ganar dinero o para relacionarnos con personas. Fable II évoque à n'en pas douter une version améliorée et plus accessible de son prédécesseur. Fort d'un univers envoûtant, soutenu par des mécanismes de jeu intelligents, il se montre effectivement digne de la vision de Lionhead, au sens où il possède la capacité de rassembler des joueurs aux profils très différents. Fable II renferme en outre bien des secrets qui nécessiteront sans doute de nombreuses relectures pour être révélés. Mais on appréciera avant tout la poésie de cette fable onirique et immensément attachante. Pretende a Lionhead com isto, possivelmente, transmitir um peso incontornável às nossas acções, a noção de que devemos responder pela nossa índole. É pena que o espectro de decisões à disposição seja tão limitado. Fable II não deixa, ainda assim, de oferecer uma experiência com alguma longevidade e polvilhada pelo bom-humor que costuma acompanhar os diálogos e personagens da Lionhead Studios. Caso sejam adeptos do género, ou estejam à procura de uma iniciação no mesmo, Fable II é uma oferta sólida.